J. S. Howard Electrical Co., Inc. is an authorized installer for Briggs & Stratton generator systems, GE Generator Systems, Kohler, and any other brand of generator. 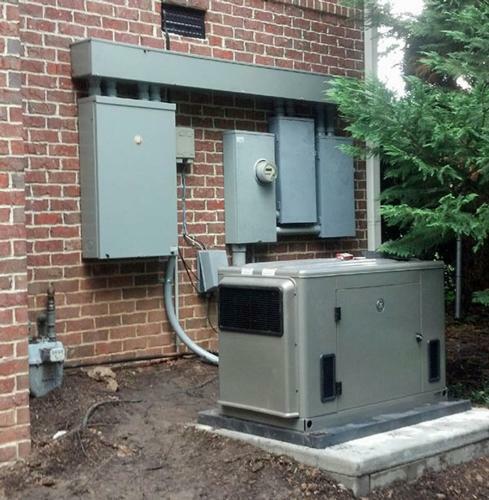 Our experience, makes choosing the right size, make and model of standby generators for Industrial, Commercial, and Residential projects easier to understand for our clients. Having Electrical Power at your home or place of business is a crucial part of day to day life. J.S. Howard knows that losing your power for even a short period of time can be inconvenient and bring all activities to a halt, costing your business money. And it can also present dangers in homes with individuals who rely on electric-powered medical equipment. A standby generator is the tool a house or place of business requires to make it through short and long–term power losses. These systems are permanent installations placed outside the home and hard–wired directly into the electrical system. When professionally installed, they deliver the right amount of voltage to meet household or commercial needs without accidentally overloading circuits. They can run from a variety of fuel sources, but natural gas and liquid propane are the most popular and cost–effective. Special automatic standby generators don’t even need to be manually turned on: they activate themselves when detecting a power loss. If you live in Sanford, NC or any of the surrounding communities in Central NC such as Broadway, Carthage, or Southern Pines, and require an experienced electrician to install a Residential, Commercial, or Industrial generator please don’t hesitate to call J.S Howard at (919)-774-1650, email us lisa.jshoward@windstream.net, or click the button below to fill out our form for a Free Estimate.